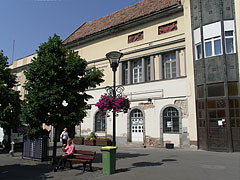 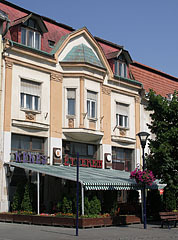 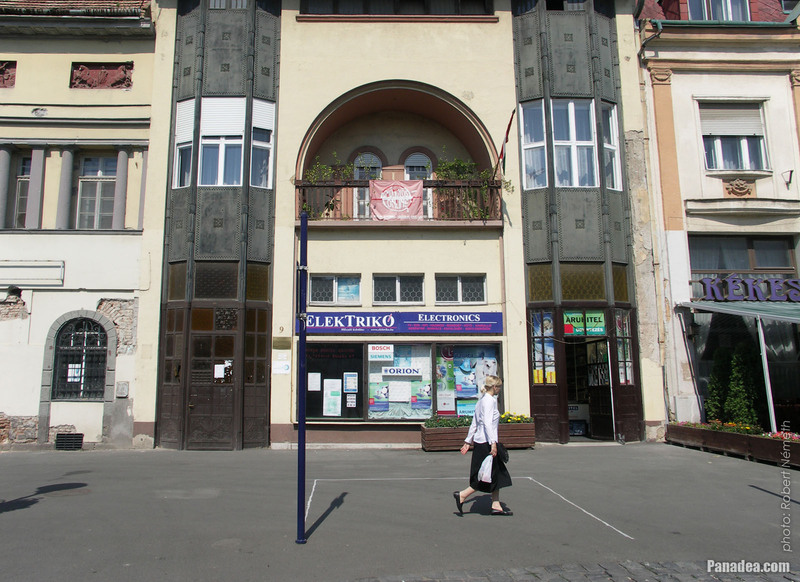 The building has 13-century origins, in the present form it was built in 1922, architect: Virgil Nagy. 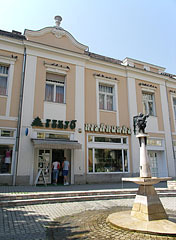 In reality this building was built in 1912 on the site of an old baroque house. 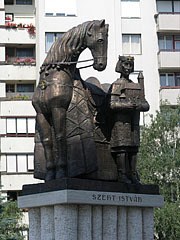 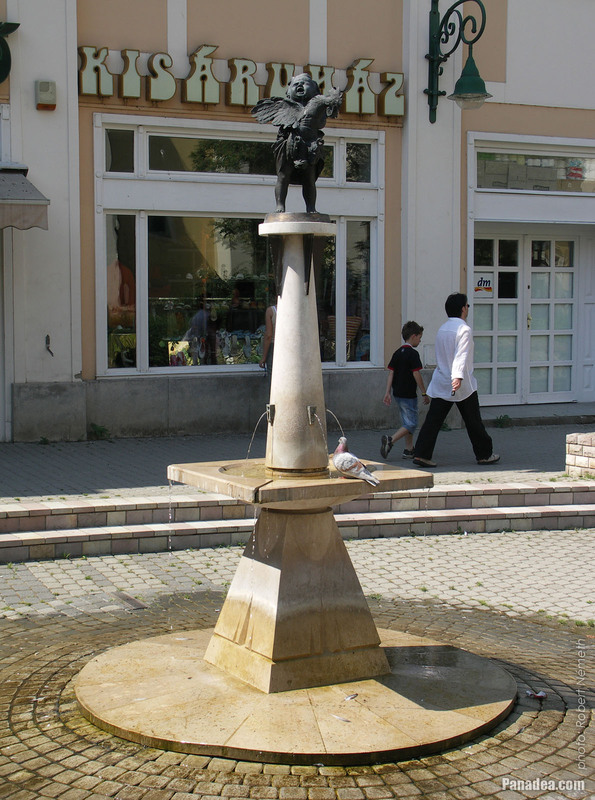 The fountain was created by István Lukács in 2000. 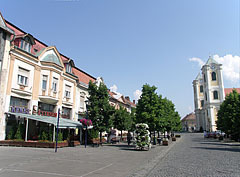 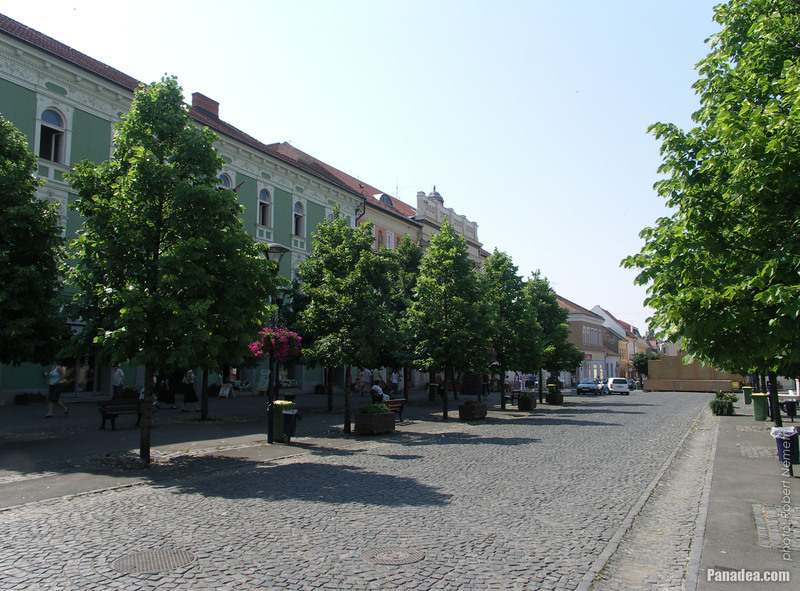 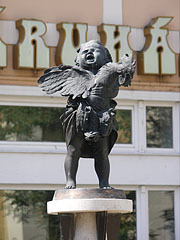 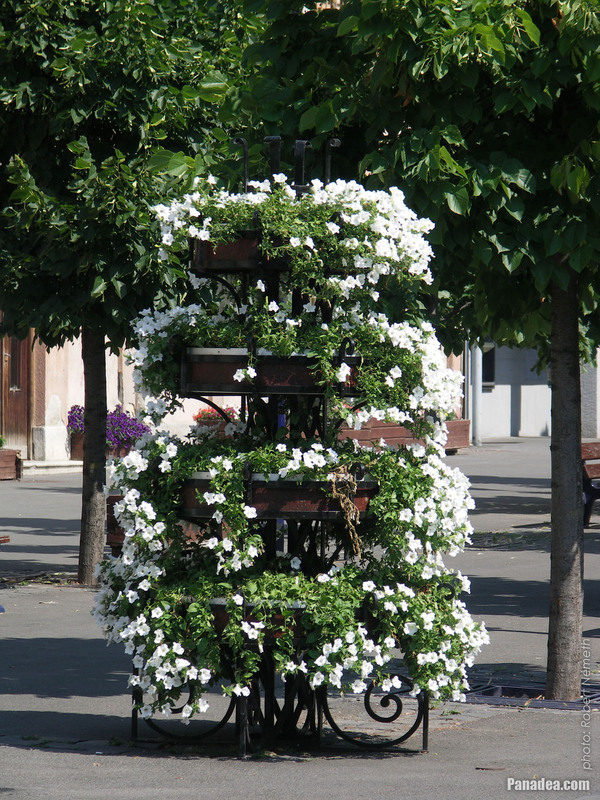 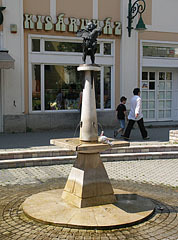 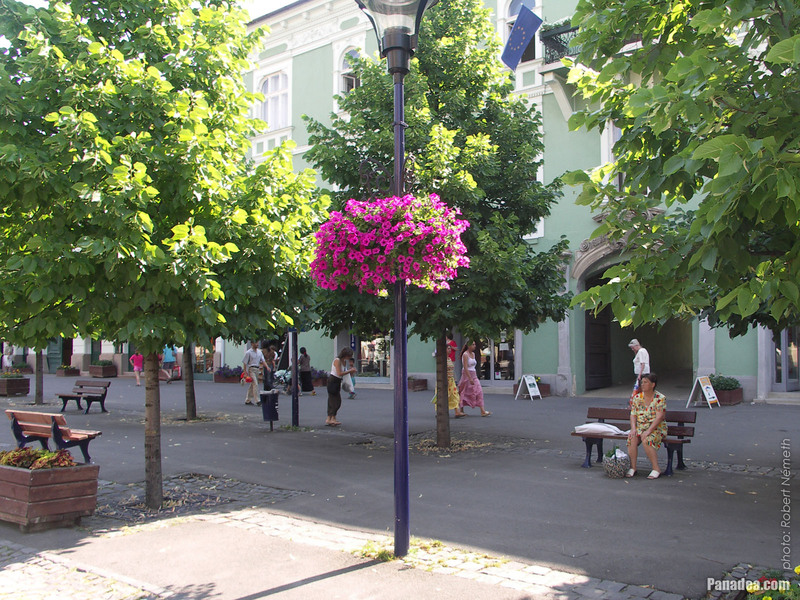 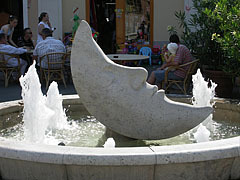 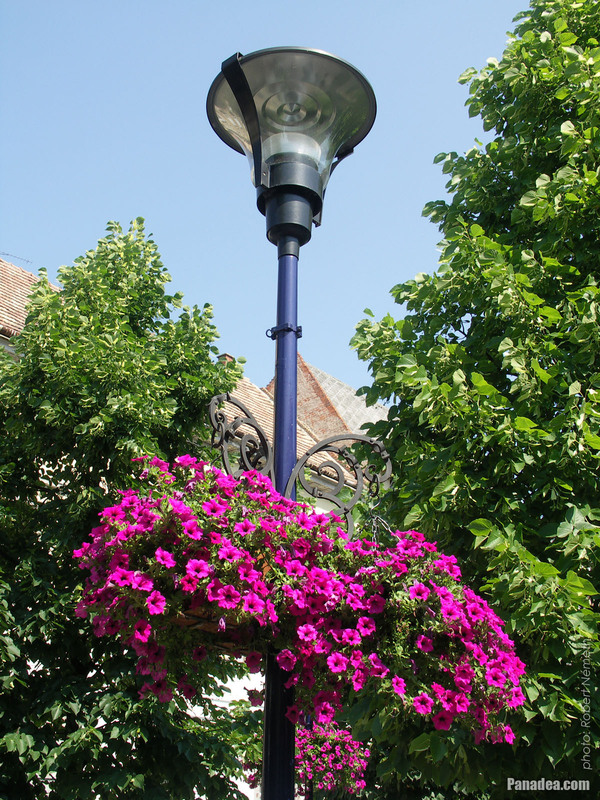 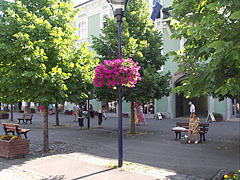 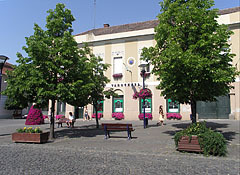 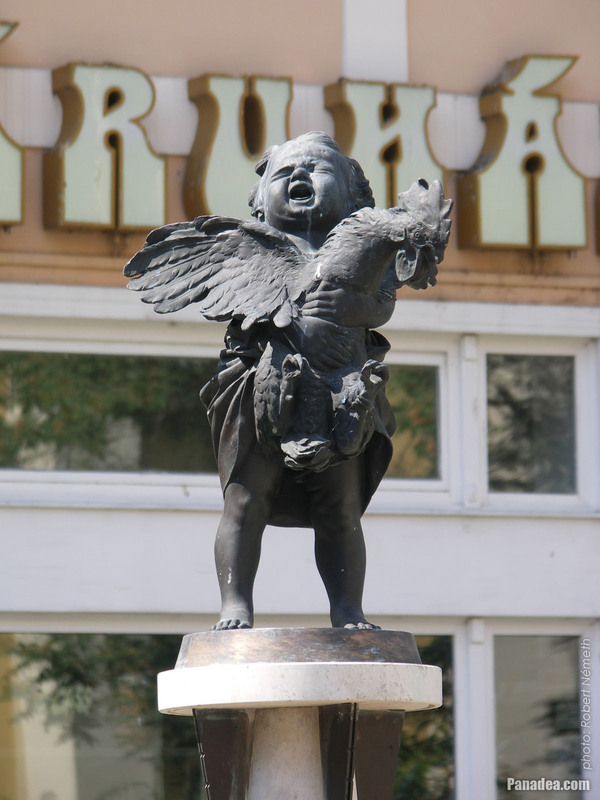 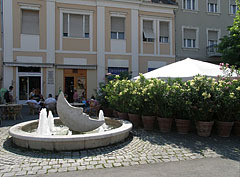 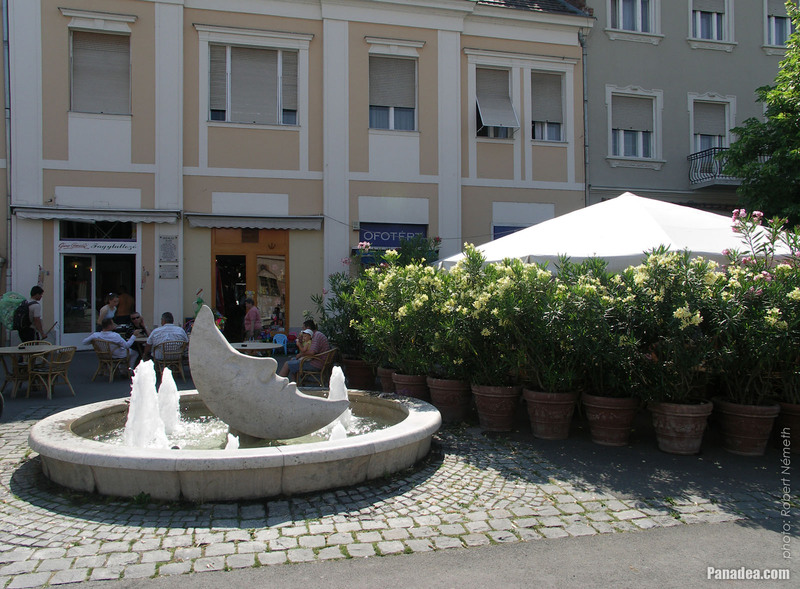 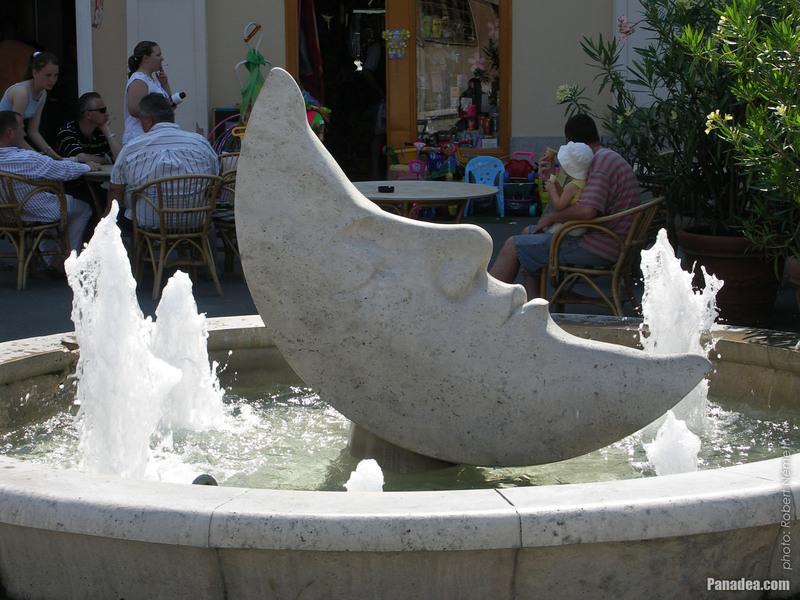 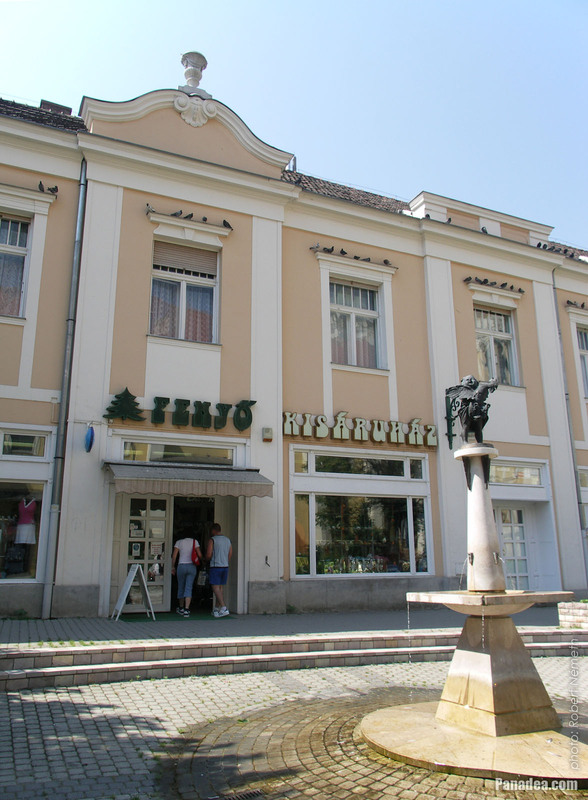 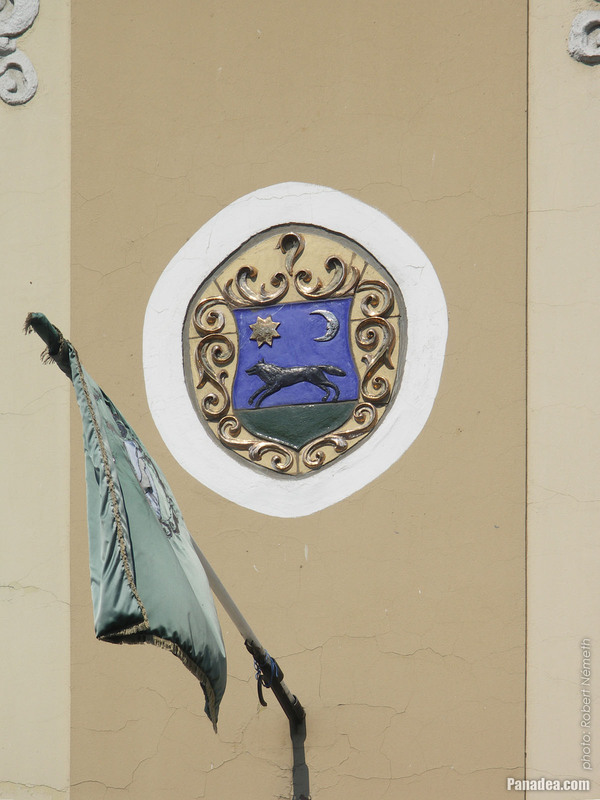 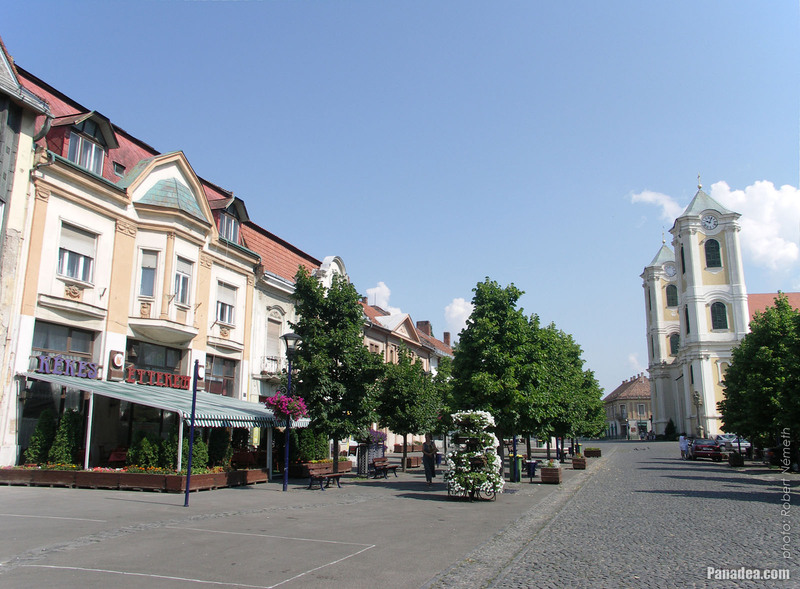 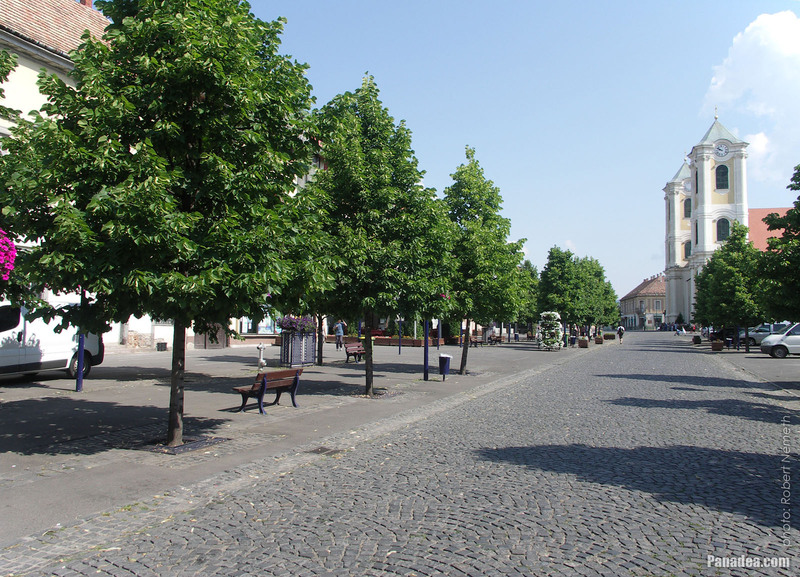 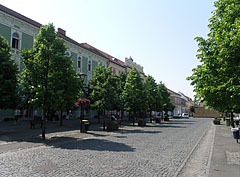 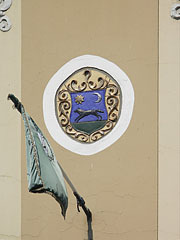 The total of four fountain-sculpture in the main square (moon, sun, wolf, grapevine) are actually the symbols in the coat of arms of the town. 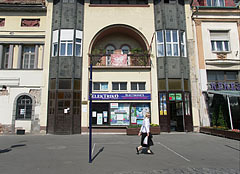 All were created by István Lukács in 2000. 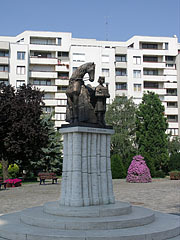 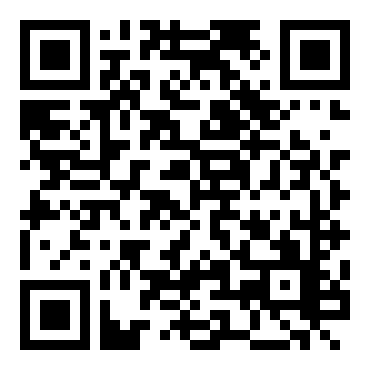 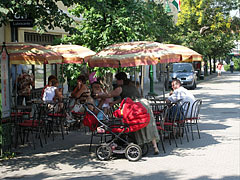 Created by Pál Kő in 2002. 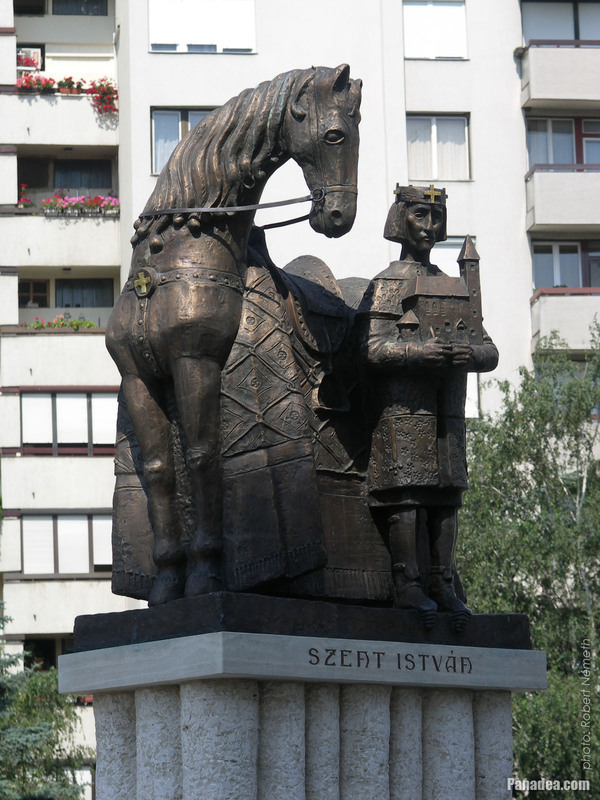 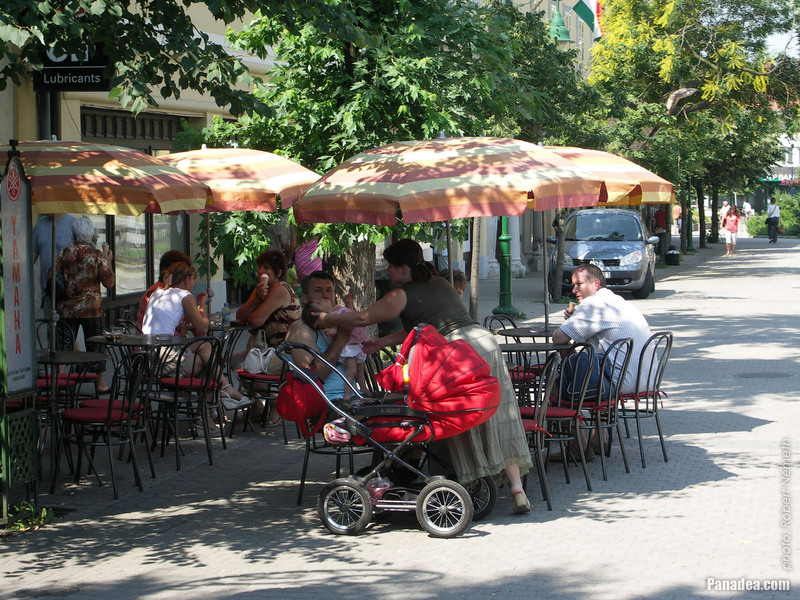 There is a larger limestone version of it on the northern side of the Gellért Hill in Budapest. 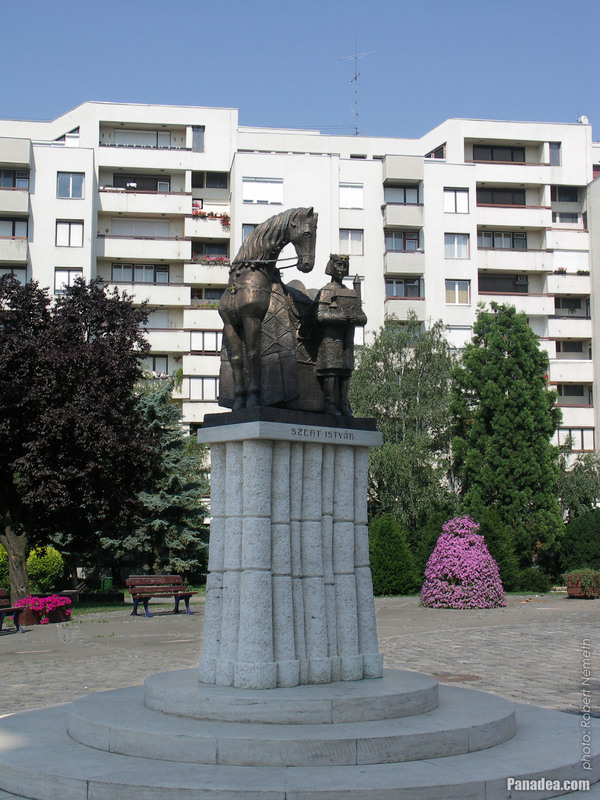 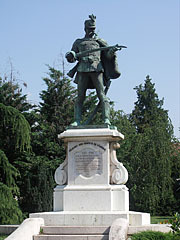 It was created in 1964 and it is a replica of an earlier bronze statue of an unknown sculptor. 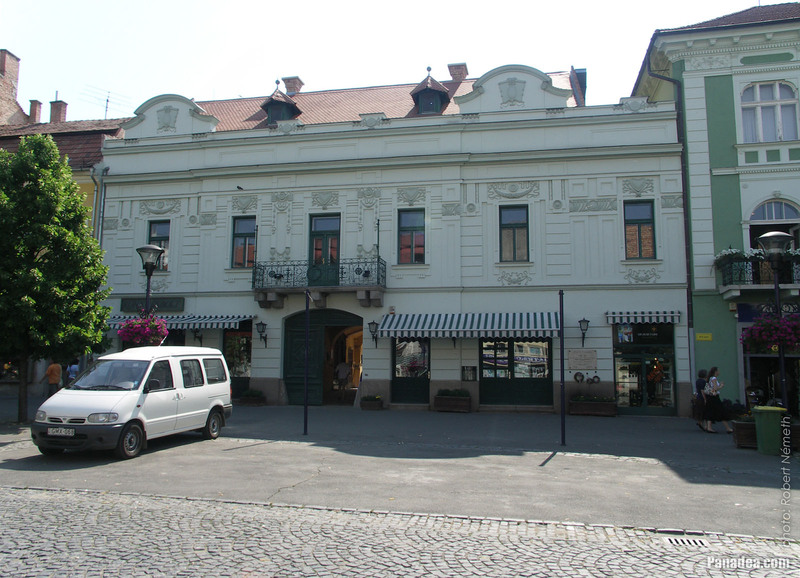 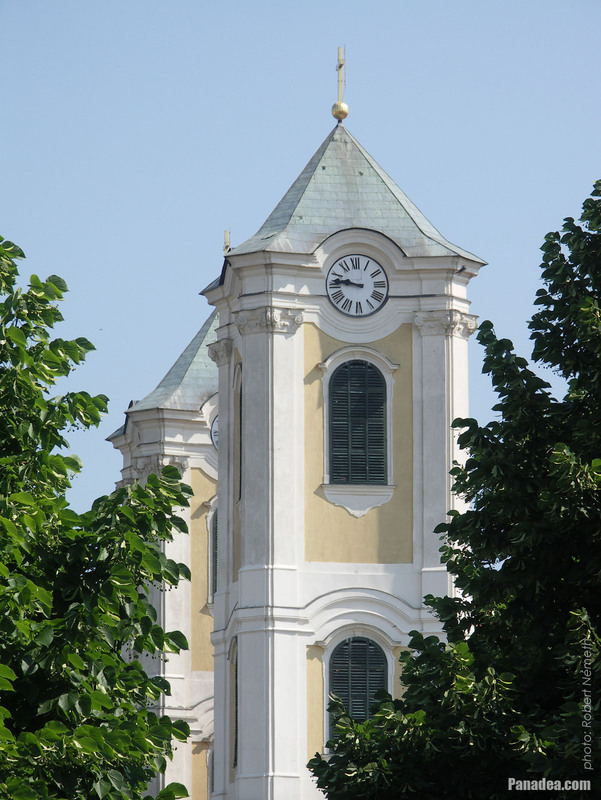 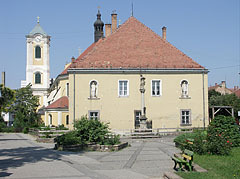 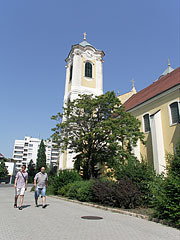 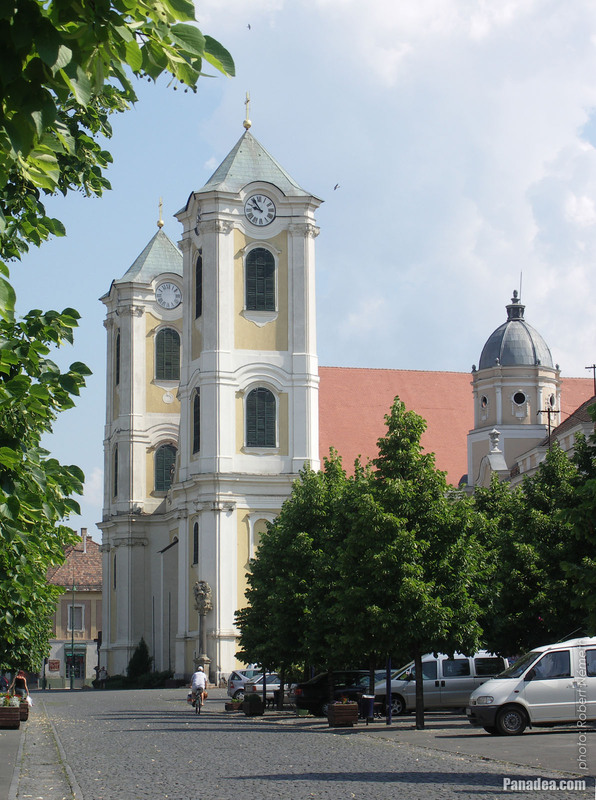 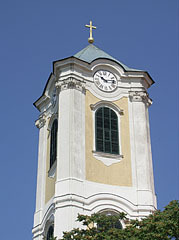 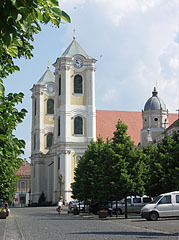 It was built between 1751-1752, then modified in 1776 by the plans of Károly Rábl. 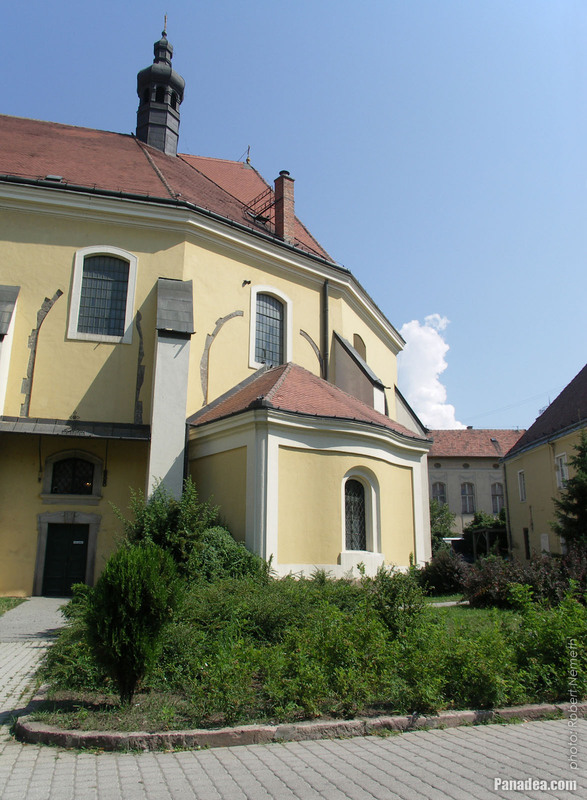 Built between 1909-1911 on the site of an earlier baroque house, this is the state of the building before the renovations of 2012. 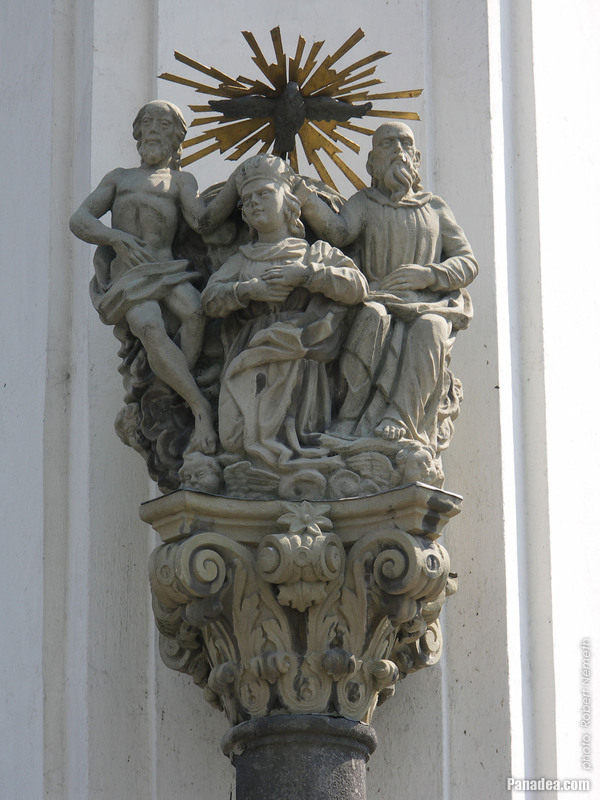 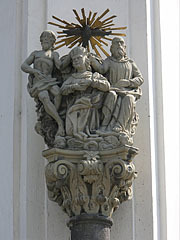 It was erected here in 1996, the original sculpture is placed inside the church. 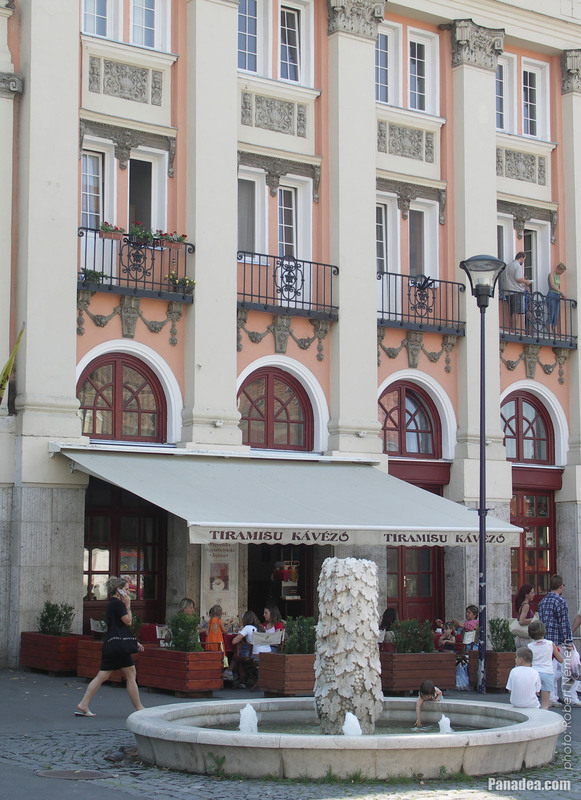 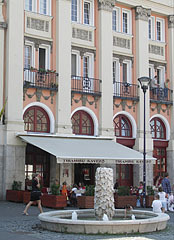 Originally it was 18th-century baroque house, the present form of the building was completed in 1883. This building is standing on the site of the former 15th-century Orczy House, that was a family archives, library and armory in one. 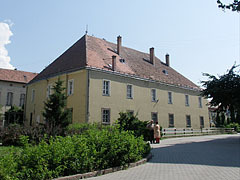 Some parts of it constitute the core of the current house. 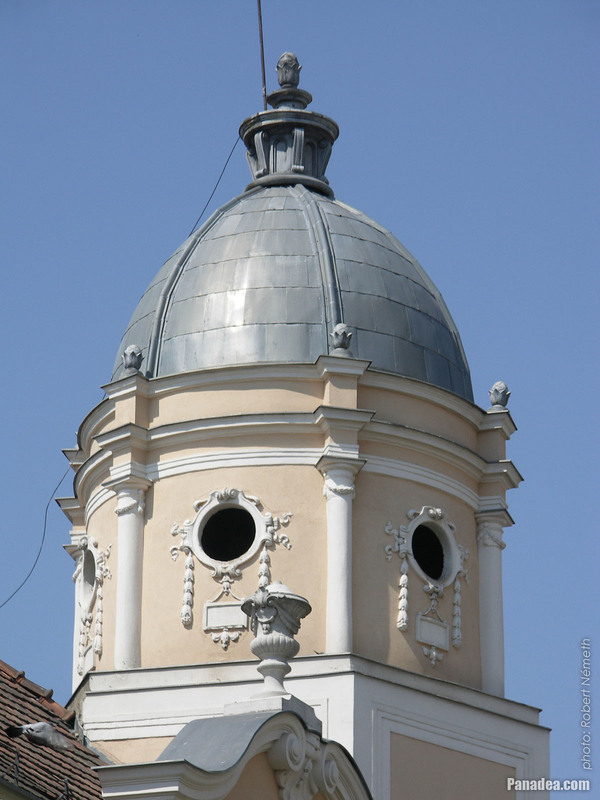 Designed by Valér Mende, built for the Heves County General Bank company. 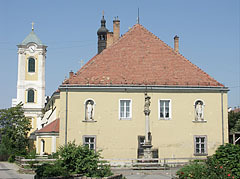 The statue is roughly the same age as the building, it was erected in 1770.